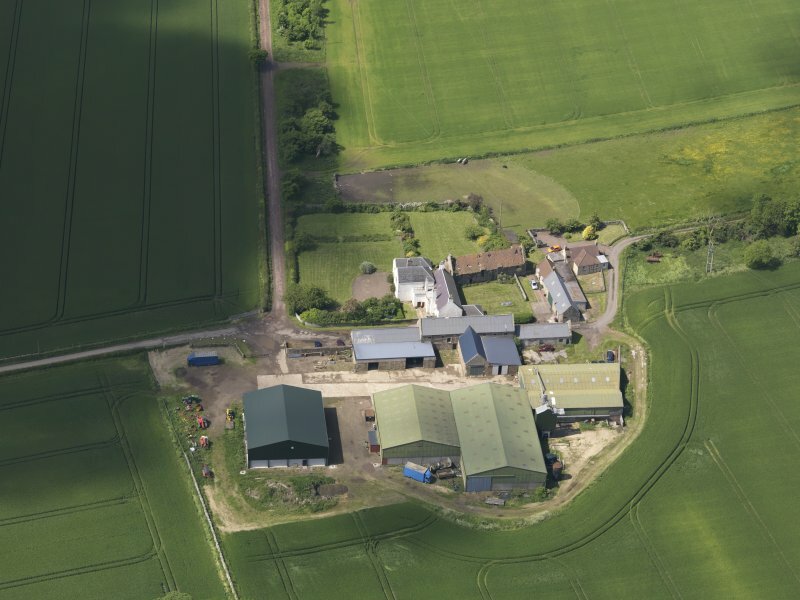 Oblique aerial view of Ugston Farm, taken from the E.
Oblique aerial view of Ugston Farm, taken from the NE. 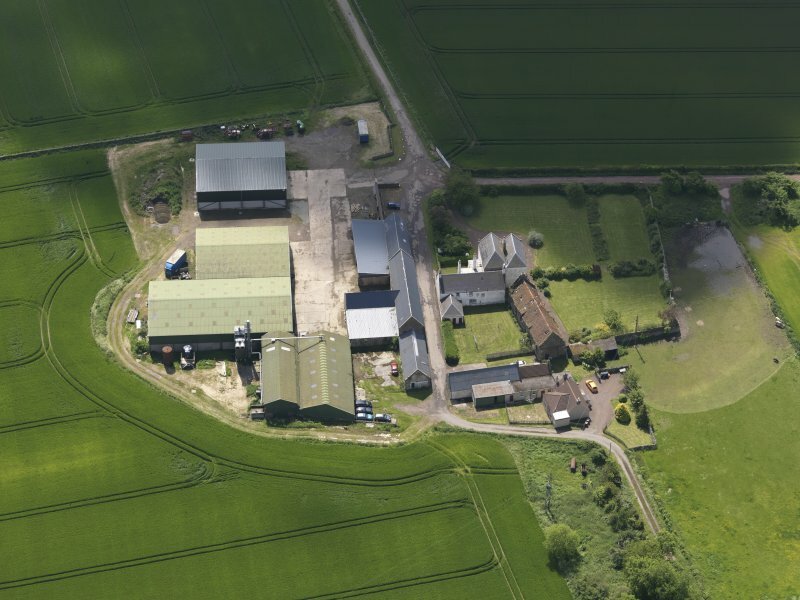 Oblique aerial view of Ugston Farm, taken from the N.
Oblique aerial view of Ugston Farm, taken from the NW. 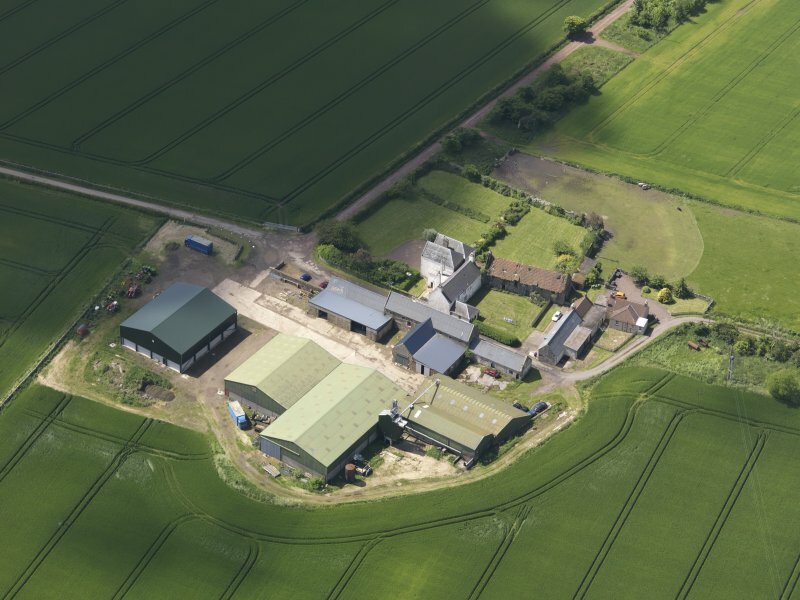 Oblique aerial view of Ugston Farm, taken from the SE. 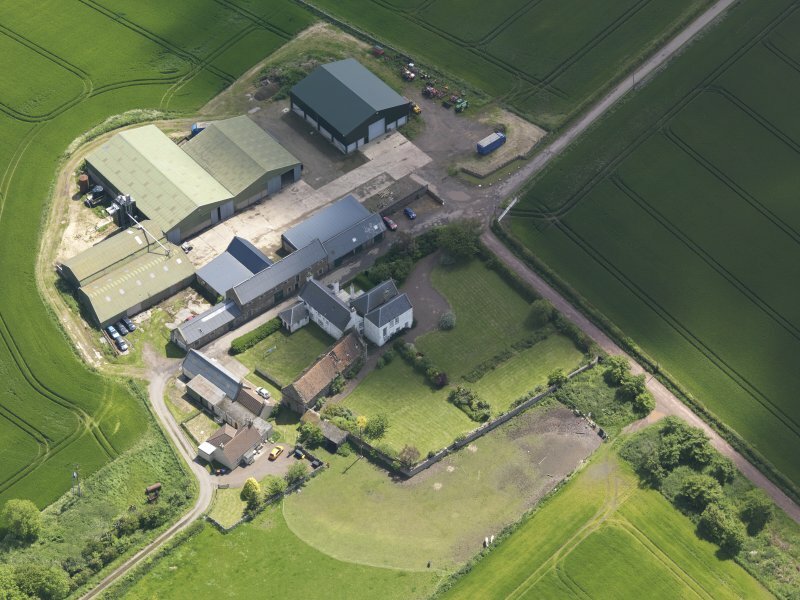 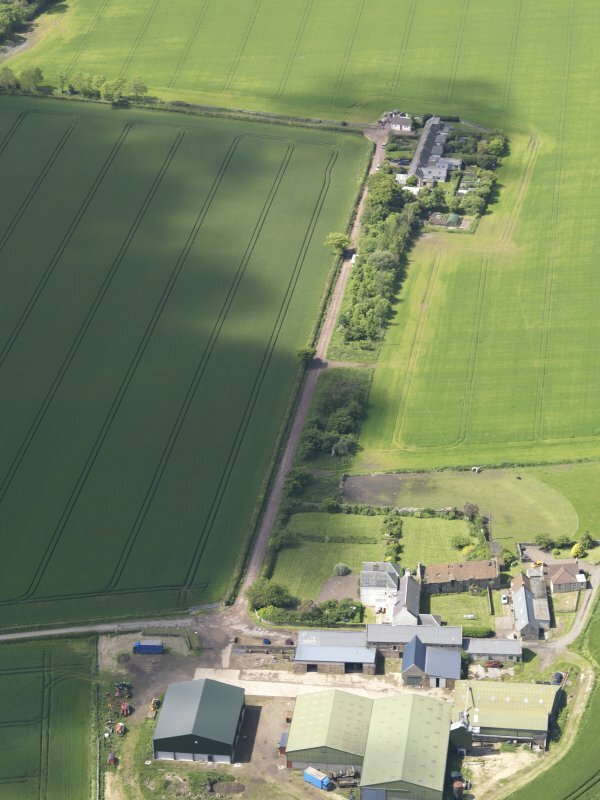 Oblique aerial view of Ugston Farm, taken from the S.
Early farm steading probably designed as such. 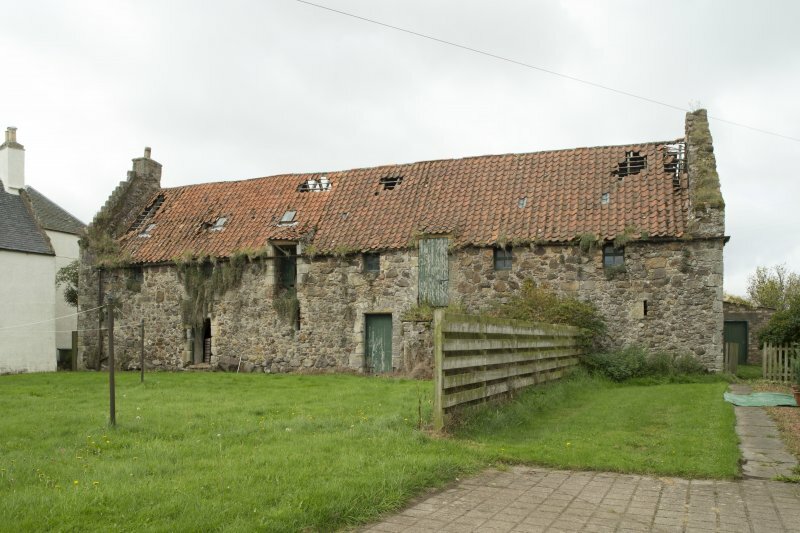 2-storey, irregular 6-bay, very thick walls in variegated random rubble on boulder base course, dressing eroded but chamfering discernible. 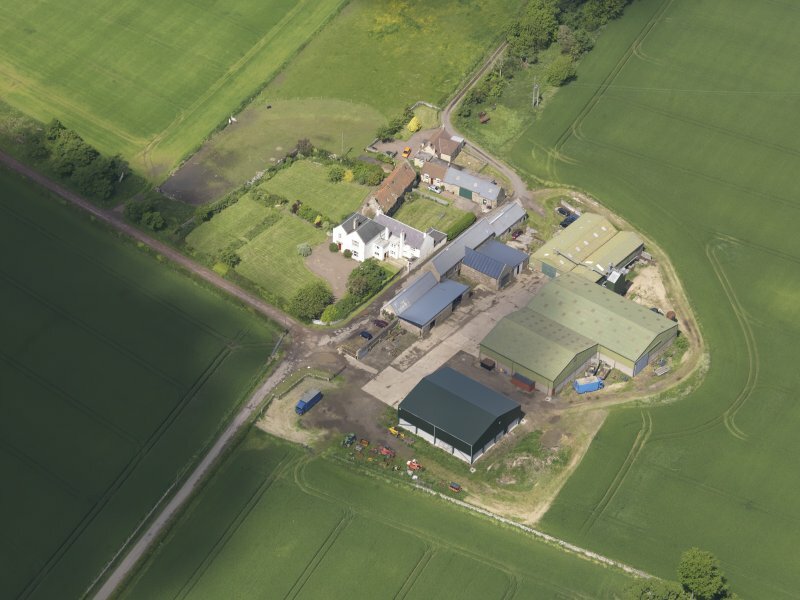 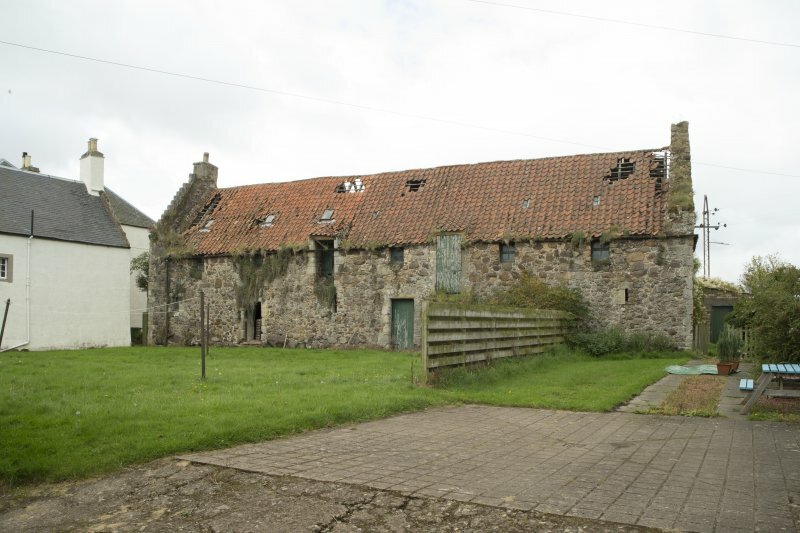 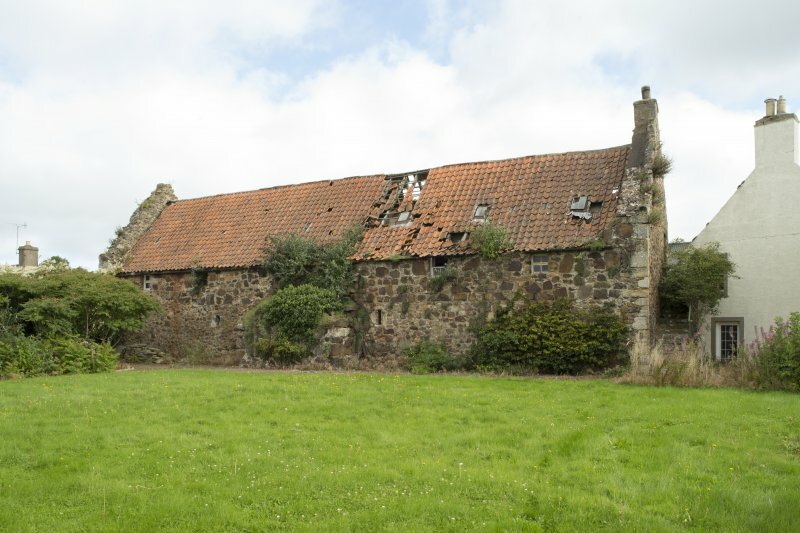 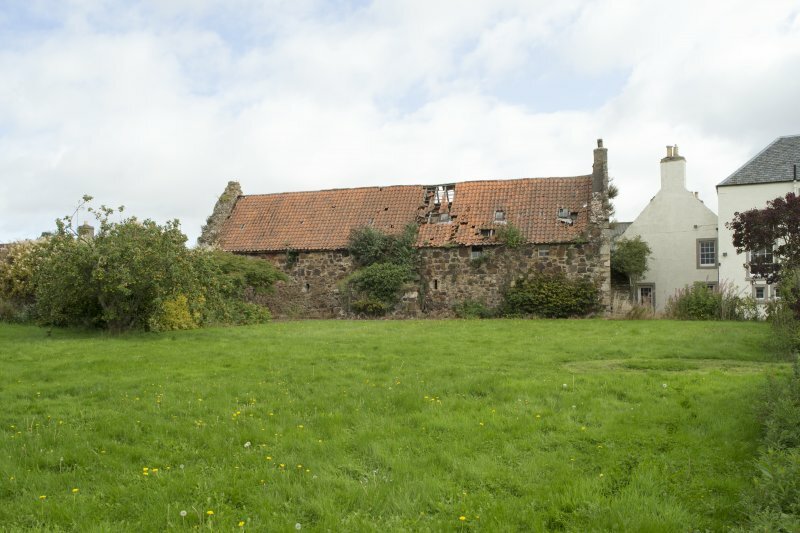 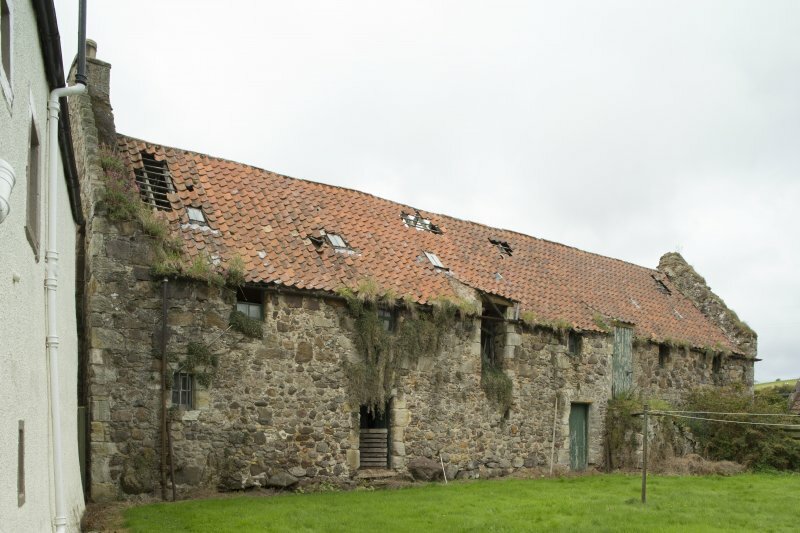 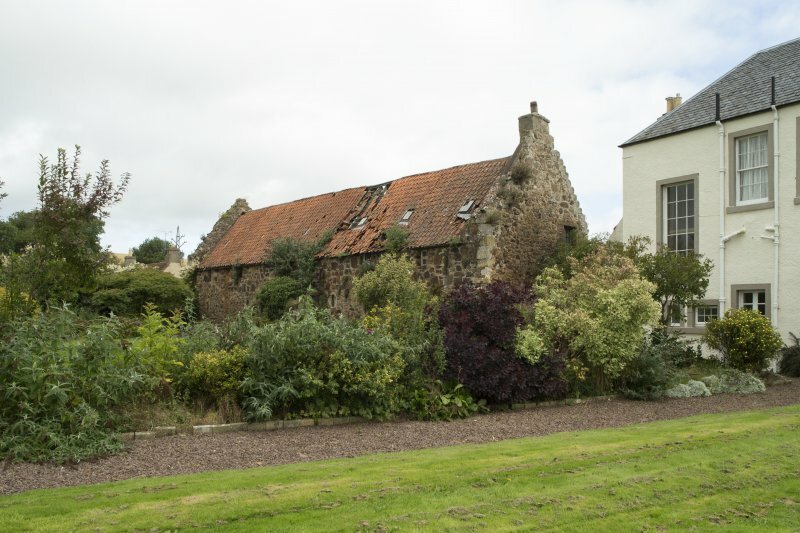 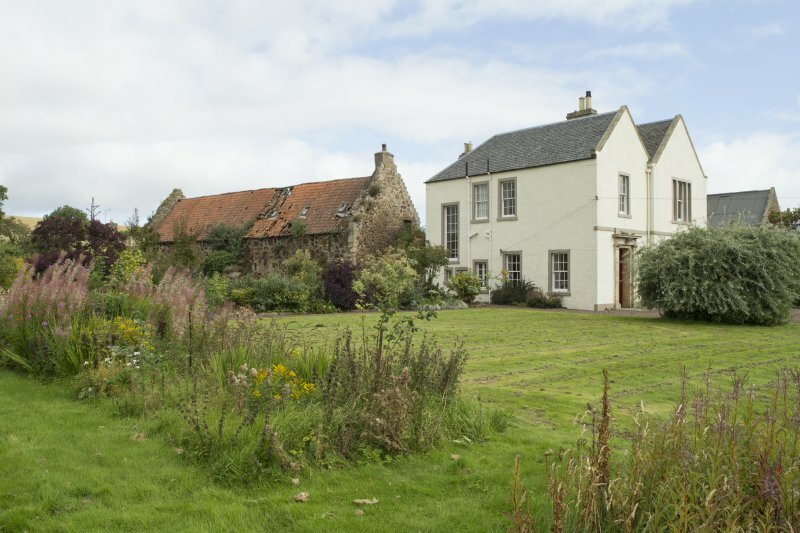 Ugston Old Farmsteading was previously incorrectly located on the modern farmstead of Ugston. 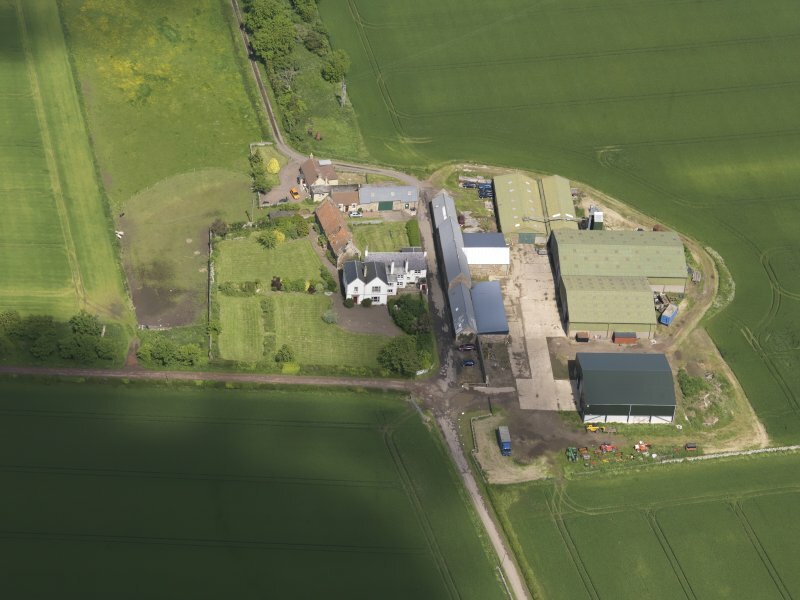 Its location has been corrected to NT 49303 74700. 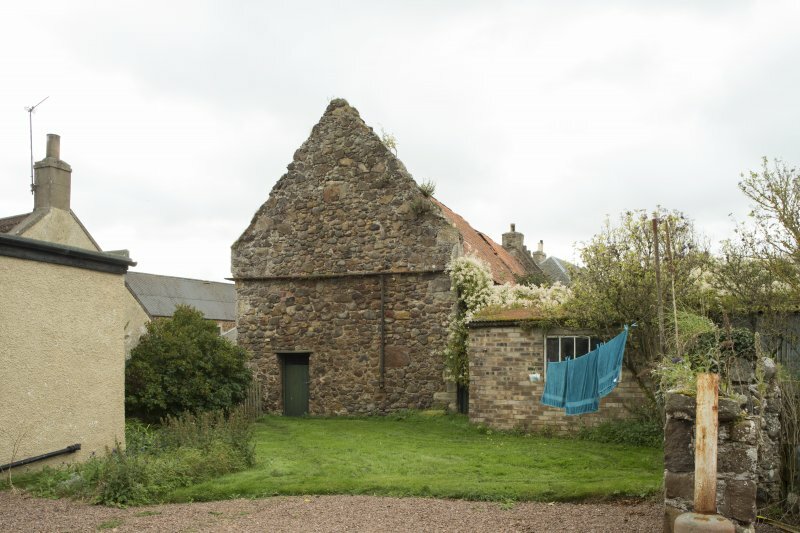 Photographed for the Listed Building Survey programme in 2017 for archive record upgrade.